Jack: Welcome to the show. On this episode, Jill and I talk about Wholesaling Houses, our six-part live online course that will be launched in early January. Before we get into that though, let’s take a question posted by one of our members on the landinvestors.com online community, it’s free. Jack: Tom, these are great questions. And they’re all questions that I asked myself right before I did my first mailer, and they’re all addressed in our Cash-flow from Land education program. But your question’s very timely because that program was all prerecorded and kinda been … You know, video format. We’re finding more and more … and I can see here that you’re actually not a member of our group so you don’t have access to it … But we’re finding more and more, that this style of learning, for certain people, is better in sort of an online classroom setting where you can ask questions just like this and get a direct answer. Actually, different versions of an answer. That’s why there’s two of us. You’re gonna get Jill’s answer and you’re gonna get my answer. Which quite often, I don’t have to tell you if you listen to the show, aren’t that similar. Which is good. Jill: Quite often are not, that’s the winner. That’s awesome. Jack: Which is good. So scrubbing data … And pricing data, specifically … Once you get it, before you send it out in the mail, it’s imperative to your success if you … Pricing if you’ve listened to any of the stuff that we talk about, it’s gonna make or break whether you buy properties. Not only make or break, it’s gonna … 2 or 3,000 unit mailer, you might buy one or two properties, or you might buy 20 or 30 like we do. And so … This is not our first rodeo. So, while I’m … The context or the format for me to answer that question about scrubbing data, it’s impossible at this format. So, it’s art and science, if you know what I mean. Jill: Can I tag one little thing on this here though? Jill: But we do scrub out duplicates because they don’t need … Did you say that? Jack: Let’s talk about that for a second. Let’s philosophically talk about a person who owns nine houses in a subdivision. What does that tell you about that person Jill? Jill: Hmmm. They might be an investor and a good person to sell to. Jack: What if they own 19? Jack: Hmmm, I want their phone number. Jill: That’s true. So Tom, to answer your first question, yes. We don’t send out one letter … I mean send out multiple … We send out the one … And then the B, like Jack just said, hang onto that guy’s information because you’re gonna be hitting him up later to sell him, maybe, what you find. Jack: Exactly. So, multiple un … Owners. Property owners in any given scenario, they’re … 9 times out of 10, they’re a buyer, not a seller. Jack: He called … The member called me, scheduled a [inaudible 00:03:50] call … Did I ever tell you this? Jill: I remember this, yeah. Jack: And so they sat down with the … Now the guy is systematically buying them. That’s his whole career now. Jack: He’s systematically liquidating properties with this guy as a partner and gonna retire on it. Jack: Multiple … People who own … And that’s, again, not … This is not a commercial. These are the types of questions that are incredibly intelligent, especially for newer people, that we will answer in the live course that we’re gonna talk about here in a minute. 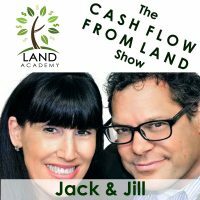 Jack: Today’s topic: Wholesaling Houses, our live six-part online course that Jill and I are gonna do together, at least the first few times anyway, in January. Jack: And so, I’ve written the course … Completely, like end to end written it … And we’re ready to kinda do it online but for … Strangely enough, Jill and I have not sat down and really talked about what the vision … And what we’re really trying to accomplish for the people who take the course. And so, that’s what this show is about. So like what do you see … You’re in the front lines more than me Jill with customers, or potential customers … For land academy/offers academy. What do you see this course accomplishing? Jill: This seems so simple and basic to me, and I think us, but to the universe it … They’re not getting it yet, but they’re about to. And that’s what I see as a result of this course. There’s so many people out there that are doing this, well I’m just gonna say it, wrong. And they’re doing it the way their parents did it. And I think that’s wrong. I think that the way that they’re getting their cars, and they’re driving around, and they’re trying to meet people, and establish relationships, and … “Oh I heard … Oh, what? You think the guy in the corner might sell? Well I’m gonna run over and talk to him.” I think all of that is wrong. Jack: Like the white pages? Jill: “Hi, I’m from First Team Real Estate in Laguna Hills. We are in your area now and we were just wondering if you would be” … You know, and going on that. Jill: “That’s stupid.” Well you know what? It is if you do it wrong. Yeah it’s send … And I don’t mean send a postcard. But … And it’s funny though, if I … It’s so funny, if you ever ask someone about it, “What do you know about direct mail?” “Well, I do know a guy who did it once and he did great. He got this” and stuff like that. Jack: I hear the same thing when I ask people … Go ahead.Go ahead and finish. Jill: And … Well, hello? They’re one for one. I don’t understand why this is a problem. Jack: If it works, why’d you stop? Jack: You know what I really think is going on? Jack: It’s closer to five. Jack: But, we will buy a house. And you know how much it costs to send out 2500 letters? Jill, how much? Jill: Half that, because they’re 53 cents a pop. Jack: Right. So like, 1200 bucks. Jack: That’s the problem … Right there. Jill: I’m like, this is silly. Jack: squeakiest wheels are the ones who are … They just are really afraid of fronting the money. They see it like fishing and it’s not fishing. There is very predictable results to this. Jack: Would you spend $1200 to wholesale a house that you never see and make 20 grand on it? Jill: And people don’t know that … I think it’s the whole point of the course, right? They … Just to see that this is true. We’re gonna do the whole thing, right? 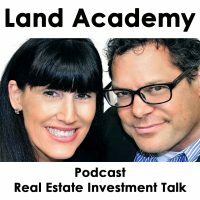 Jack: The whole universal concept of this course is to introduce and then completely, start to finish, implement … Buy a house. Jack: Live … Send out our own mailer and we’re gonna take … It’s a six-part course. Over the … Maybe eight, we’re not sure yet … But it’s gonna be a number of courses where … And we have to let time go by, we can’t do it all in one sitting, because we gotta prep the mailer, we gotta scrub the data, we have to buy the data, we have to get our website up. Jack: It’s like auto shop, where you don’t just talk about changing out a transmission, you actually do it. And you stand there and look over the guys shoulder who’s doing it and you have your own transmission on a bench over here while you’re looking over that guy’s shoulder watching him do it. Then you do it to yours. Jack: Yes. At the end of the thing, we’re all gonna buy some houses. Jill: I think that is perfect. Yes. Jack: So, if you’ve never heard … If you’re a listener, if you’ve never … You’re wondering what the heck … Why is this guy, who’s involved in real estate down the street, got a new car every two months and he just seems like he never goes to work? It’s because he’s sending blind offers to owners and what’s worse, is he’s not telling you the truth. There’s a lot of people who just lie about it. Jack: They don’t wanna give away the secret. Jack: The very first episode of the show is called … It’s episode zero … [inaudible 00:11:28] several years ago, it’s called Everybody Thinks I’m a Drug Dealer. Jack: When I quit my job. I quit a really good job because we were killing it and pe- … My friends are saying, “What … Why” … You know, “Seriously man.” They sat me down. Jill: They were worried about you. Jill: Money just doesn’t [crosstalk 00:11:51] seem to be a problem. Jill: I love that word secret by the way. Jack: Somebody else said to us recently, like a veteran member, said … Gave us a critique online, which I love, and he said, “Yeah, yeah. This is all true. What they say absolutely happens, but they make it sound easy. It’s not that easy.” Guess what? It’s not that easy. Jack: You have to learn how to scrub data. You have to pull down data. Jack: You’re gonna be sitting in … Here’s the truth of it … And you’ll learn this, you’ll see it all through the class. You sit in front of the computer. Jack: Being on the computer all day. Jill: All those rectangles that’s called Excel. If that bothers you, this is not for you. Jack: “For a living.” Or yeah, turn a wrench out there, or whatever works for you … Or have no responsibility and not take responsibility for your own success then you can learn that too. Jill: Yeah and that’s okay and this … You know what? The thing is though Jack, what we’re saying is universal. It’s not like it’s just our business. It’s everything. Jill: You say you wanna be the best day trader on the planet who can … You know, whatever it is, there’s gonna be a learning curve. Jill: You’re not gonna find a perfect profession … You’re gonna sit down and … Oh I got this … in one hour. Jack: Doing this with the public … We’re finding that everybody has … Most people … There’s some bottle-neck, at some point during the whole process of mechanizing all this. Jack: And this whole course is designed to smoke that out real good. Jack: And then address it and move on. Jill: And we’ll be right there … Pr icing’s a big one they get hung up on. Jill: And that’s what it’s gonna be and Jack and I are gonna address it right then. And so it’s gonna be awesome. You don’t have to wait for, “Hey I sent an email” or “Hey I put it in at landinvestors.com” or “Oh I said it for the Thursday call.” You get to ask it right then. Jack: Every time we do this Jill … And I … Every single time we do it, we buy multiple houses and we … Or in with land. We … You know, hundreds of properties. Jack: And we have a way to sell them before we even set out to drop the stuff in the mail. And so everybody involved in this course … I mean it’s … Look, it’s not a magic … There’s no magic dust here. Jack: It’s a bunch of work. You gotta put a lot of work in and if you think you’re gonna show up for the two hour class and then that’s it. Then the next week you do the two hour class and then that’s it. No, there’s a bunch of stuff you gotta do in between, but you will buy some property. Jill: We just did, yesterday afternoon, some of the prep work for this whole project … And that might be a good thing as we’re starting this too, I should tell everybody … You want me to share what we did? Jack: Because I honestly don’t remember. Jack: Look at that Goodyear Blimp. Jill: Oh, is it right outside? Jill: That’s super cool. Alright so, we had a meeting yesterday at four o’clock with, basically, a buyer and kinda got his order for what he wants in this area. Jack: This is perfect for this show. Jack: Go ahead, in detail please. Jack: Details. Describe this. Because I’m excited. Jill: He was all excited. So we pretty much … And you know what’s really nice too … So this is a good thing. So we laid the foundation of the area … And what’s interesting is because we’re new to this area that we’re now hitting, he’s not new to this area. So he gave us a few little tips on some of the developments in the area and just what to … You know, some of the environmental things to be aware of. So this was good little … Do a little homework before you dive in. Jack: We’ll find a … We’re all gonna find new buyers in the course. Jill: Have a buyer lined up, and how to do that, and I can help people with that. Jack: That’s a good idea Jill. Jill: Yes. Call the banner sign guy and find out what they’re looking for. You don’t like that idea? Jill: Oh. Who do you wanna do? Jack: I think it’s proactive awful. Jack: The best way to find them. There’s two ways to find a buyer that I’ve used that I think … Barnet signs a good way to go, but what if there’s not banner signs. Jack: So, I mean … And that’s my only criticism. If there are banner signs in a bigger city [inaudible 00:18:05] it’ll work. It can work. Jack: The two best ways to find a buyer in the market are: number one, post a Craigslist add that says something like, I have a house that’s worth … I’m a real estate investor and I’m out of money. Whether you are or not, just do this anyway. And I have a house that, I think is probably worth half or some number like that. But I’m out of money and I need a partner. I need somebody that’s actually … Wants to wholesale and clean this thing up and sell it. You’re gonna hear a good, solid response from that. Jack: For some reason, flippers … I don’t mean flippers, I mean renovators. They look for deals on Craigslist and I’m not sure why. So there’s that. But the sure fire way, and we’ll go through it right through the course, is to find … We eluded to it earlier is if somebody owns … An LLC owns five properties in a neighborhood, they are. They’re either a renter or they’re in business in that neighborhood, in one way or the other and they’re gonna … There’s a really good chance. And if you have five or six of them, there’s a great chance you’re gonna find a couple of buy … Really good cash buyers in there. And we’ll do that, right in the course. Jack: We’ll look at … Well, each of us will pull their own data set, choose a neighborhood, and I’ll review it individually. Jill: It’s gonna be awesome. Jack: You know what? That’s a perfect example Jill. Jack: That might be a bottle-neck for somebody. Jill: Might be a hard thing. So, and I understand that … Just like who do I know, and what do I know their … You know? Jill: And what do I say to them? Jack: Right. A big bottle-neck for me was answering the phone … Because when you sound a lot of …And it’s still not my favorite thing to do. Luckily, I have Jill. But whatever it … Everybody’s got their own kind of thing and that’s what this course is gonna smoke out and we have solutions for it all. Like, Then hire somebody to answer your phone. And I don’t mean hire an employee, there’s lots of places out there for small monthly charge like [inaudible 00:20:01] or whatever to answer your phone. Jack: Join us in the next episode, where we discuss the Jack and Jill Calendar and how we use it to succeed. Jill: Yeah. And we answer Jason’s question about data scrub with the same person, but multiple properties. Jack: You are not alone in your real estate ambition. Good show Jill. Jack: I think we can say what it’s all about. Jill: I do also. Thank you. I’m excited. The environment, I think, is gonna make this show the best. Jill: That we can answer questions right then and there live is gonna be so … And really follow all the way through. We’re gonna have to find a way, I know that we talked about this, to pre qualify people because I really what people to come into this with the tools and the resources that can really make it happen. Jack: Like what’s on your mind, what are you … Because you’re obviously … This is like the third or fourth time I’ve heard you say that. And I know you’re right. You’re 100% right. But I see the tools and resources they’re gonna get that from the program. I think you’re talking about [inaudible 00:21:13] here, right? Jill: No, I’m talking about financial. Jill: No, I’m really talking about money. I really want people to be in this thing that really can afford to go “Alright, we’re all spending $1000 tonight because we’re sending out all these mailers. Ready? Go.” We all push the button together kind of thing. Jill: I want people to really be able to do this, it’s not pretend. Jack: And that’s just with the mail cost. We’re not making money on it. Jill: Imagine, gosh. Boy, I wish I had this. Again. I wish I had … It’s like it’s the best possible thing having the pros standing over your shoulders saying, “You’re doing it right, now do this.” “See? Now there’s the response. Now do this.” So I really want people that have the time and the money and that can afford to do this. 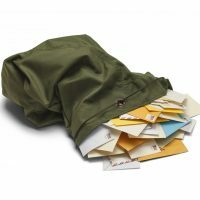 Send out the mail … They don’t have to buy the asset, I don’t really need to have people … I don’t peo … You don’t have to come into this with $400,000 cash to anybody because you’re gonna pick up two houses on your own. We don’t need that. Jack: We should put that in the requirements. Jack: You need the money to send out mail. Jill: This is not a theory class. Nothing that you and I ever do is that way. We’re really doing this. Jack: That’s a really good point Jill. This is it. Jack: And it’s not like call your credit … All this schlocky stuff that goes on in this industry about, “Call your credit card company to make sure you have enough credit to pay for the education. None of that crap is … That has nothing to do with this. Jack: I think we’re gonna … We should teach that. Jill: Well that’s a different course, we’ll do that. Maybe we should have a getting ready for the wholesale class. Jack: Is getting your website ready. Jack: And now you have a week to do it. Jill: And then come on the next week, it better be ready man. Jack: It can be a one page website that cost 100 bucks. You know what? You’re right. They have to … And it’s not … You’re not paying us. Just go find a web page. Jill: Yeah, we’re not doing it. Yeah, we’re telling you this is how you do it. Jack: I love it. They should have a little bit of money before they come in. Jill: They need to. I want them to … I want them to succeed. This is what I tell every body too. If now’s not the roght time, I get it. Come back in six months. We’ll be here. And it will be. Hey, you like our show? Please subscribe and rate us on iTunes or wherever you are listening.